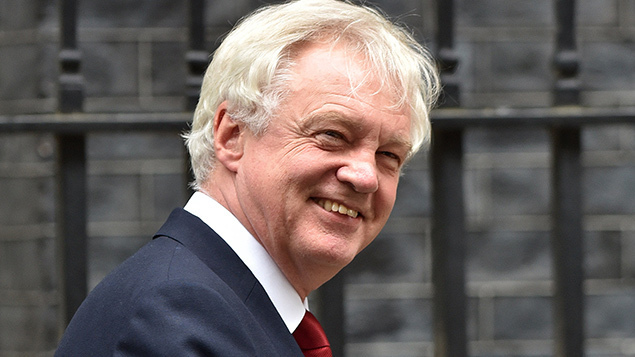 Brexit secretary David Davis described Labour's questions as a "stunt"
A letter with 170 questions on the Government’s approach to Brexit negotiations, including the future of employment rights in the UK, was sent to David Davis, Brexit secretary, from Labour shadow cabinet members on 11 October 2016. Questions about employment rights (set out in full below) focused on whether or not the Government will guarantee that employee protections from the EU will not be weakened after Brexit. Webinar: Brexit – what now for HR? The questions ask the Government whether or not it will commit to preserving current employment rights in the long term, including committing not to use employee rights as barter in future trade negotiations. The questions specifically referred to preserving protections for women in the workplace and ensuring that there will not be a cap on compensation for workplace discrimination claims in future. Labour also asked whether or not future extensions of employment rights by the EU will be matched by the UK, to allow British workers the same protections as their European counterparts. The questions were intended to clarify the Government’s Brexit plan, to provide certainty to foreign investors of the UK’s approach and to press the Government to allow parliamentary debate on the plan. “If you are able to provide satisfactory answers to all these questions, just one per day from tomorrow until 31 March next year, it might give some confidence that the Government is entering Article 50 negotiations with a clear plan,” Emily Thornberry, shadow foreign secretary and Sir Keir Starmer, shadow Brexit secretary wrote. Mr Davis dismissed the questions during parliamentary debates on 12 October 2016. “To give the House an idea of how much of a stunt that is, it is one question a day between now until the triggering of Article 50. Worse still, some of the questions in that long list are requests pre-emptively to concede elements of our negotiating strategy,” Davis said. However, Parliament did pass a motion allowing for full and transparent debate of the Government’s plan to leave the EU prior to invoking Article 50, provided that it would not undermine the negotiating position of the Government. “Although the 170 questions can be seen as a stunt, they do cover important issues on the implications of Brexit that the Government has yet to address in a meaningful way,” said Qian Mou, employment law editor at XpertHR. 53. Will the Government guarantee that all existing employment rights underpinned by EU legislation will not just be fully transposed into UK law through the “Great Repeal Bill”, where they are not already, but will also be retained for the long-term, with none of the “watering down” at the expense of workers for which some business groups and Leave campaigners have previously lobbied (e.g. in relation to TUPE rights, the Working Time Directive, health and safety regulations, and the rights of part-time and agency workers)? 54. Will the Government guarantee that no existing employment rights will be put “on the table” when it comes to: (i) negotiating trade deals with third countries in the future; or (ii) seeking to incentivise multinational companies to invest or become/remain headquartered in the UK? 57. Will the Government rule out any plans to revive the proposal contained in Adrian Beecroft’s 2011 “Report on Employment Law” to place a cap on the level of compensation that can be claimed in cases of workplace discrimination, which would currently be disallowed under EU law?